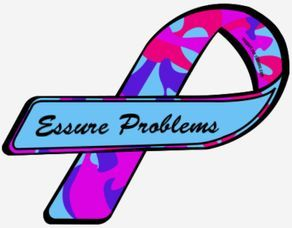 Four administrators of the Essure Problems Facebook page, Angie Firmalino, Amanda Dykeman, Lisa Saenz, and Melanie Goshgarian, their congressional liason and E-Sister Amanda Rusmisell, E-Sister and scientist Tess Shulman, attorneys Marcus Susen and Holly Ennis, and local DC E-Sister Lisa Fouser, will be attending multiple congressional meetings tomorrow and Wednesday. 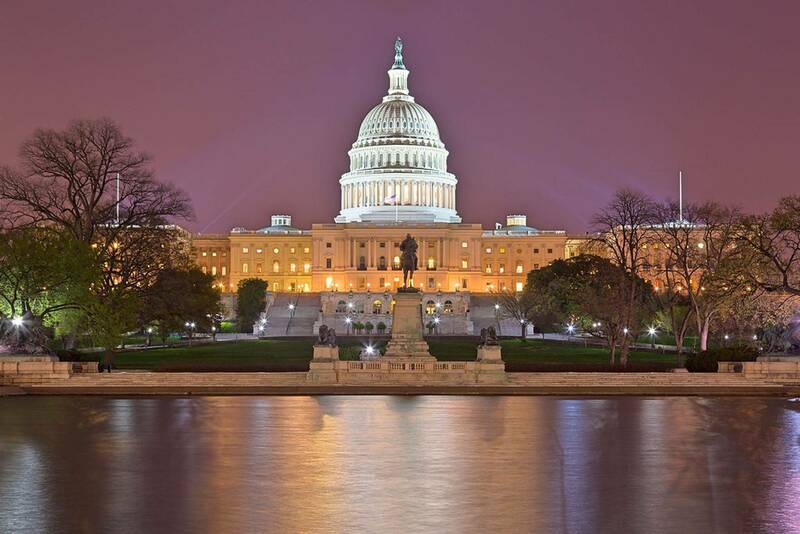 The goal of their meetings is to gain support for Congressman Fitzpatrick's E-Free Act. 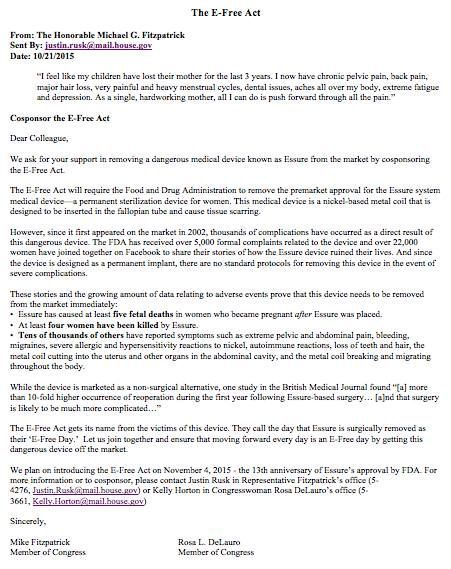 Congresswoman Rosa DeLauro has co signed the E-Free Act, and they will be presenting it to congress on November 4th, 2015, on the 13 year anniversary of the approval of Essure. 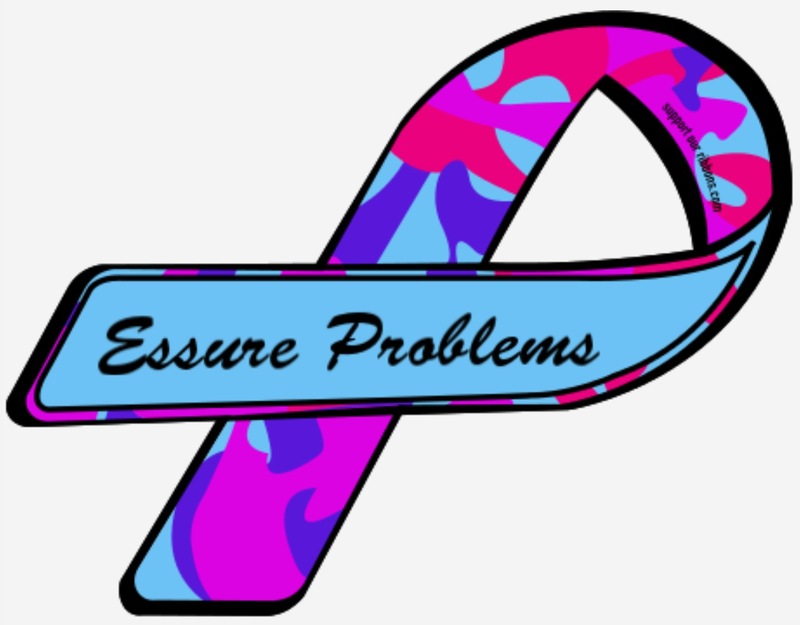 The act asks that the FDA revoke PMA status for Essure and also remove it from the market. 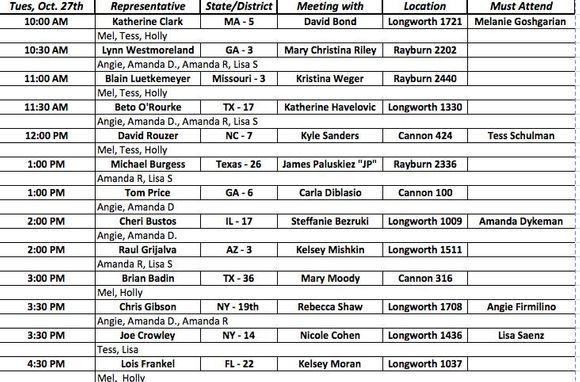 The meetings are listed below. They will also be handing out packets to every single congressman and woman's office. The packet can be viewed by clicking the tab to the right.